2015 Season: The Los Angeles Angels were eliminated from the playoffs on the last day of the year, falling one game behind the Houston Astros for the second Wild Card spot in the American League. Led by All-Around Superstar Mike Trout and future Hall of Famer Albert Pujols, the Angels were able to win 85 games despite an offense that ranked 20th in the Majors and 12th in the AL with 4.08 runs per game. Pitching-wise, the Halos were a good group, ending up 6th in the AL in ERA led by a stable of young and talented hurlers. Key Additions: The Angels went into the offseason with a glaring need to surround Trout and Pujols with better offensive weapons… and simply put, they failed to do so. In a market rich with sluggers (Yoenis Cespedes, Justin Upton, Chris Davis, Jason Heyward, Alex Gordon, etc.) the Halos seemed unwilling to spend any money on big ticket bats. 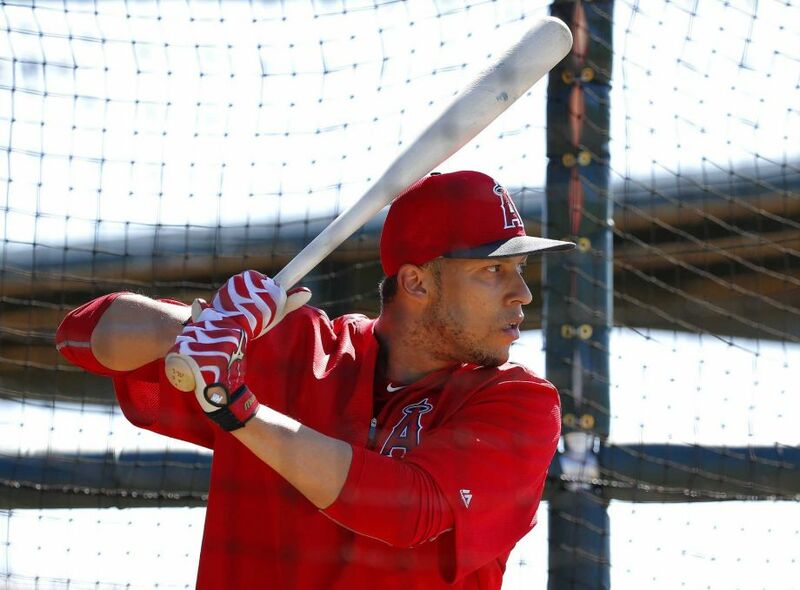 They instead added 26-year-old 2-time Gold Glove winner Andrelton Simmons to play short, traded for the 33-year-old veteran Yunel Escobar to man the hot corner, and added the platoon of Daniel Nava and Craig Gentry to play left field. None of these moves significantly improving the anemic offense from a season ago. Simmons is a nice acquisition for Anaheim but the career .256/.304/.362 hitter is unlikely to help much offensively while Escobar is an equal replacement for the departed David Freese. 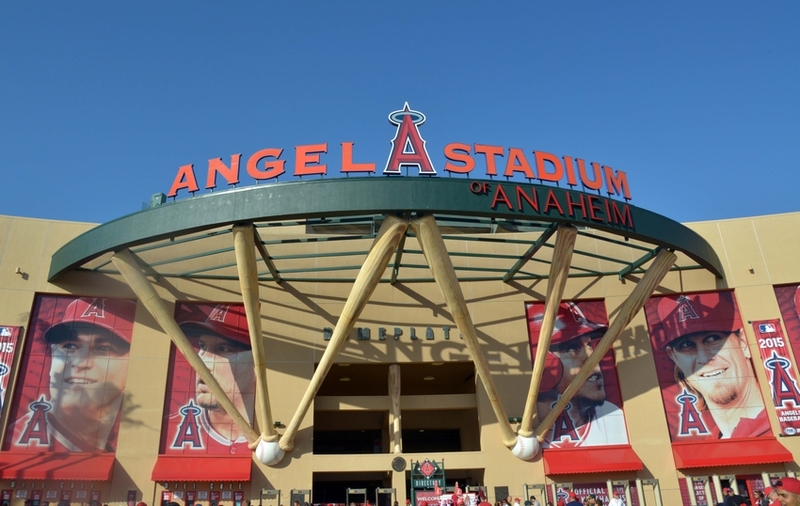 On the mound, the Angels added relief pitcher Al Alburquerque as another bullpen arm. 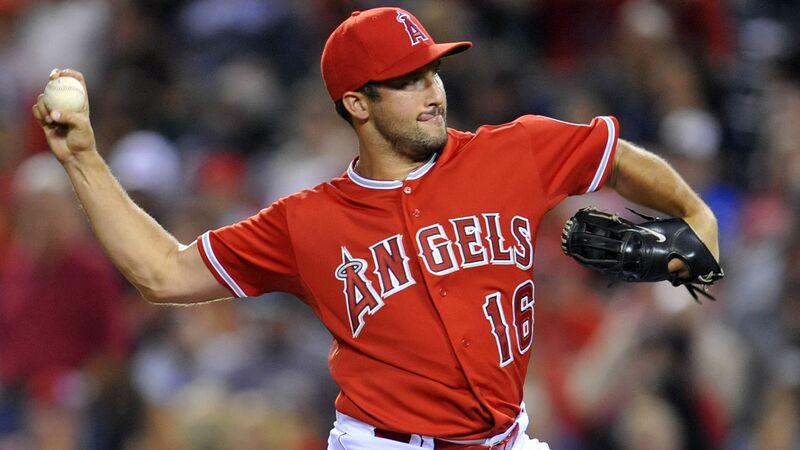 Key Losses: The Angels moved on from shortstop Erick Aybar, trading him and two pitching prospects away for Simmons. Backup catcher Chris Iannetta left for Oakland, while outfielders David DeJesus, Matt Joyce, David Murphy, and Shane Victorino all were let go. Starter Mat Latos who was acquired midseason was also unsigned and let walk after showing little in his short time in Angels red. If I haven’t made it clear yet, the Angels completely dropped the ball in bringing anyone into the team who can improve the offense much from last year. Obviously the biggest name in this bunch is future Hall of Famer Mike Trout. The offense will run through him as he brings a rare combination of average, power, and speed. Missing from the list above is 1B slugger Albert Pujols who will start the season on the DL but is not expected to miss a lot of time as he recovers from offseason foot surgery. Yunel Escobar is a nice addition at the top of the lineup who should continue to get on base for the 3-4 pairing of Trout and Pujols while Kole Calhoun will be expected to take another step forward in 2016, specifically when it comes to making contact. Calhoun struck out a team high 167 times last year while only recording 42 walks. 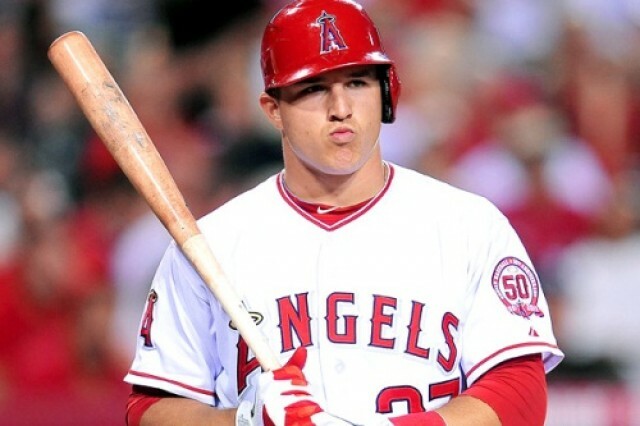 For the Angels offense to run it will have to be based 1-4 of the lineup, for after that the lineup gets bare… and quick. This is a team that will likely have to look for offensive help via a trade before the deadline if they are in contention. 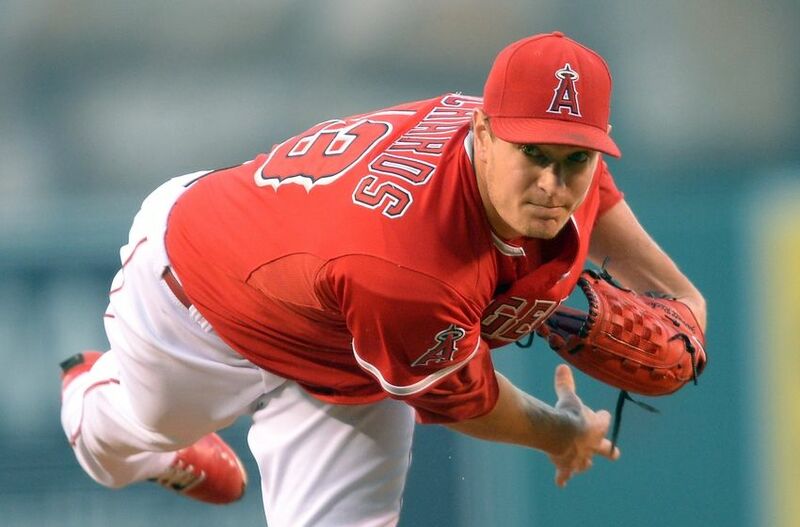 Where the Angels have issues on offense, the pitching staff is set. Los Angeles has a bevy of good young controllable pitching and the depth to match. Youngsters like Richards, Heaney and Shoemaker will all be expected to step up in 2016 while veterans like Jered Weaver and CJ Wilson will again be relied upon to lead the group and eat up innings. If any of these pitchers were to get injured, lefty Hector Santiago who pitched very well last year in 32 starts, posting a 3.56 ERA and 15 quality starts, would be available to step in. In the meantime he will act as either the long man in the bullpen or as an additional lefty for Socia to use if needed. Keep an eye on Santiago though as a strong spring training (and a weak spring from C.J. Wilson) could have those two pitchers swap roles to start the year. The Angels bullpen was an average bunch in 2015, ending up 8th in the AL in bullpen ERA, and this group remains essentially the same. Houston Street is a very good, albeit not elite, closer who converted 40 of 45 save attempts a season ago. Joe Smith is a nice reliable set-up man who isn’t going to blow the ball by hitters but does keep the ball in the park, giving up only 18 home runs since 2011. He led the AL in holds last year and will probably be around the league leaders this year as well. Newcomer Al Alburquerque will provide experienced depth out of the ‘pen. You could put Jered Weaver in this spot as he had his worst season in nearly a decade in 2015 and will be relied upon heavily to bounce back to form, but with the pitching depth that the Angels have my nod goes to Simmons. I have been very critical of the Halos’ offseason moves, but one that could benefit them the most is the pickup of Simmons. Simmons, who already brings a Gold Glove winning mitt to the shortstop position, has never fully progressed with a bat in his hand. If the 26-year-old defensive whiz can make a real step up offensively, batting around .280 with an OBP over .320, he could slot nicely into the #2 spot in the Angels lineup. Such a move would allow Kole Calhoun and his power to drop to 5th and C.J. Cron to bump down to 6th. While it might not seem like much, even a simple adjustment such as this would greatly lengthen the Angels lineup and allow them to score more when Trout or Pujols aren’t at the plate. HBT’s 2016 Season Prediction: The Halos won 85 games last year with average to below-average offense and average to slightly above average pitching, falling short of the playoffs in Game 162. Then they went about and did nothing to improve the team in the offseason while division rivals Texas, Seattle, and Houston all improved. So barring a big “Cespedes-esque” deadline trade or the young arms for the Angels suddenly resembling those of the Mets, I just don’t see the 2016 version of this team doing better then 2015. In fact, I actually think this is going to be a long year for the Angels, one that ends up with them winning only 78 games and ending up last in the AL West. A season like this would lead to a very uncomfortable offseason for Anaheim as Mike Socia, the longest tenured manager in the game, and his future with the club could come under scrutiny after missing the playoffs yet again.